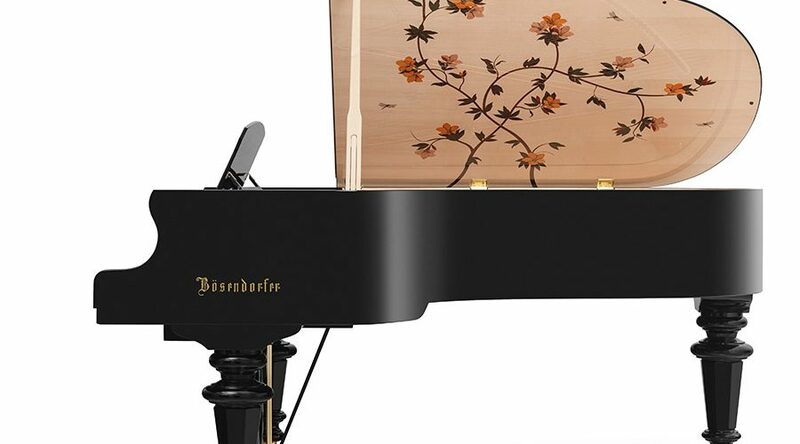 Five years after the first Marquetry series of grand pianos was unveiled, Bösendorfer has revealed the fourth in the series. 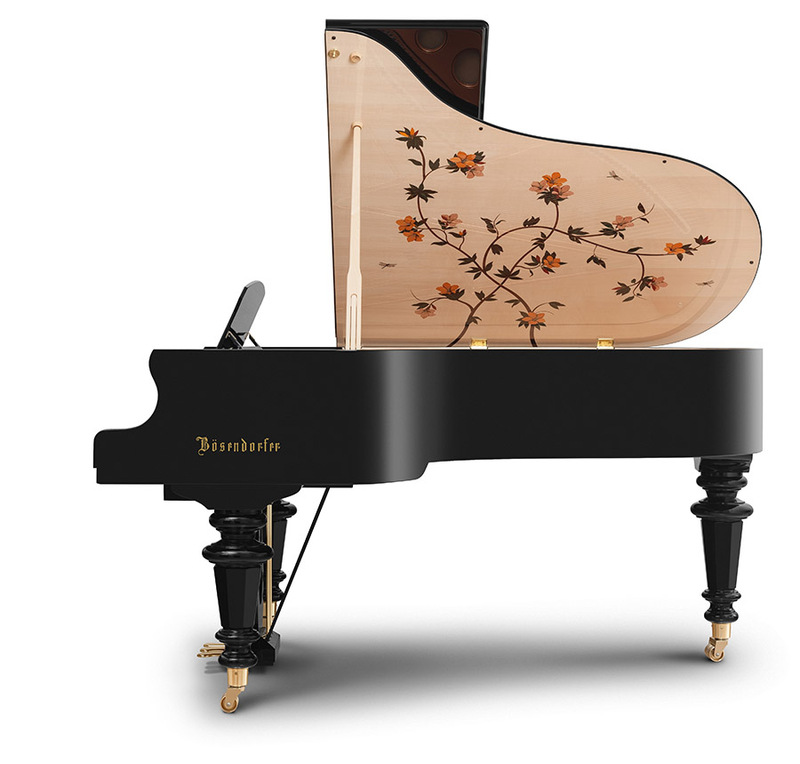 The new Dragonfly grand piano has been designed in keeping with the Viennese tradition of incorporating visual art on the inner side of the lid. Recreating beautiful scenes of nature, this design was inspired by the gardens at Schönbrunn Palace, the summer residence of Empress Maria Theresa and her husband, Francis I, Holy Roman Emperor. It was created by using a traditional sand shading technique on the coloured wood, with veneers in the marquetry inlay including tulip wood, English and American burr walnut, birds eye maple, ripple sycamore, myrtle burr, silky oak, and eucalyptus. 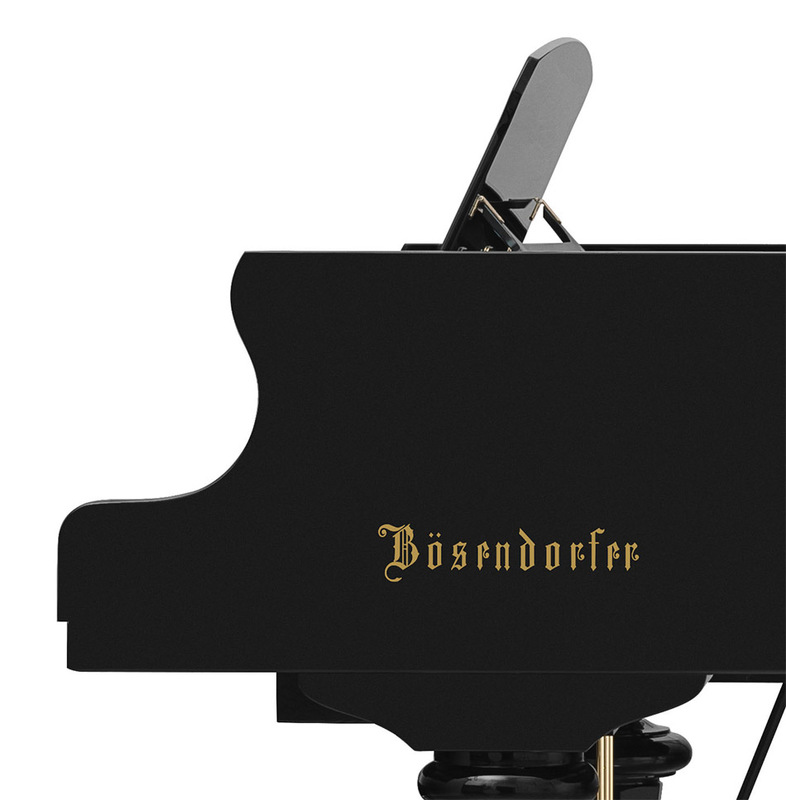 This is a limited edition run of Model 200 grand pianos, with just 18 produced. Each features an individually numbered brass plaque. 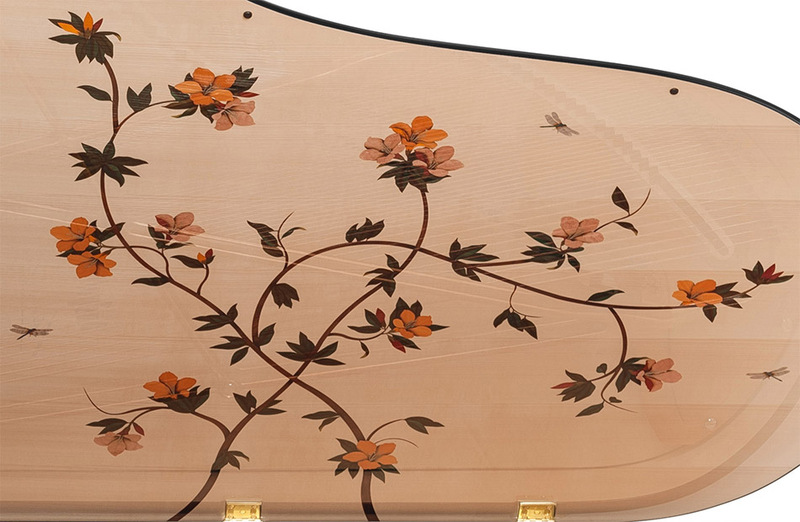 Unusually, there’s an up-front manufacturer retail price on this beautiful limited edition grand piano — these dragonflies will set you back a single dollar short of two-hundred thousand dollars. 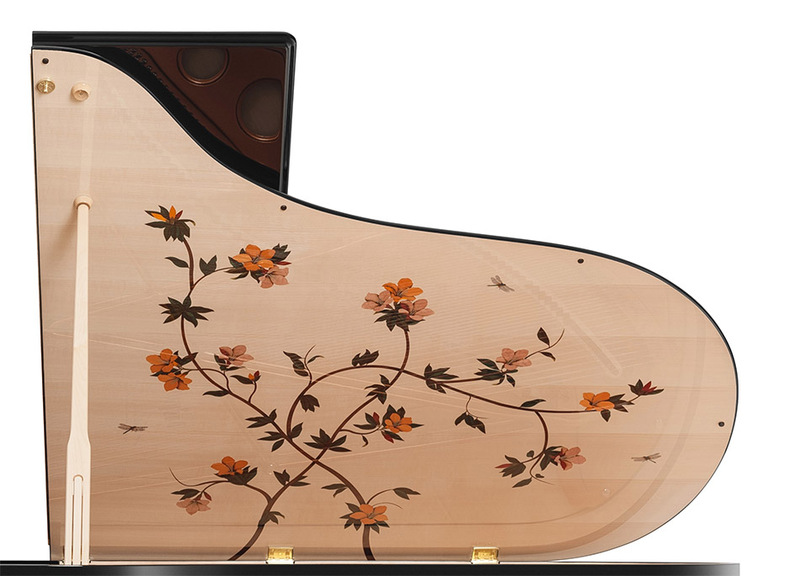 Get more information at the Bösendorfer site: Bösendorfer Marquetry Series: Dragonfly.